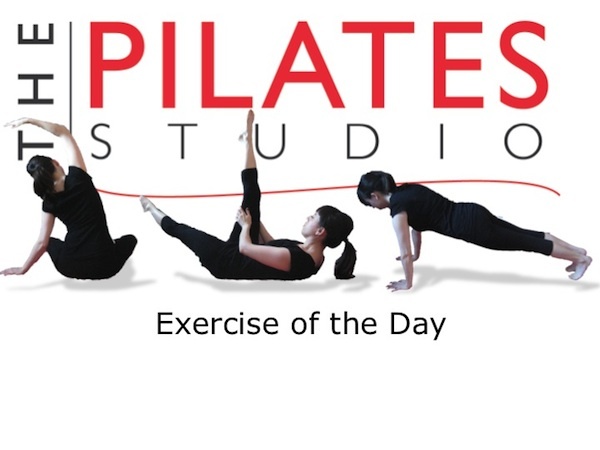 This exercise was developed by Irmgard Bartenieff, and is intended to introduce rotation in the low spine, while continuing to differentiate the movement of the legs from movement in the pelvis. To do this exercise you will need a mat. Start by lying on your back with your knees bent and your feet planted into the ground. Inhale as you begin rotating one leg outward allowing it to reach towards the ground. Continue the inhale as you allow the other leg to follow the first by inwardly rotating at the hip socket. 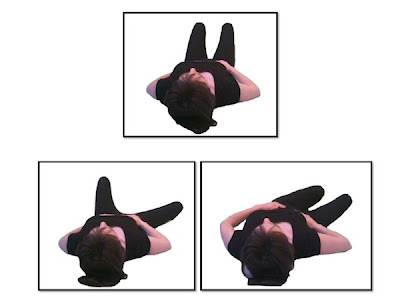 Continue reaching the knees away from you as you let the pelvis follow the knees. Imagine the pubic bone is reaching through your kneecaps as you lengthen the opposite side of the waist. Next you will exhale as you begin the return. First allow your spine to rotate back to center. Your pelvis will follow this and finally when you have returned as much as possible you will externally rotate and internally rotate your thighbones respectively to bring the legs back to center. Repeat this movement 6-8 times on alternating sides. While this exercise may not seem very taxing on the body. It is a complicated combination of movement across several joints. Often when first trying this exercise people let the legs and pelvis move as one. This puts undue stress on the rotation forces of the low spine. If you spread the rotation of this exercise through all of the joints in play, then you will distribute the force of the movement and thus decrease wear and tear on individual joints.